Situated in the stunning grounds of the Victorian Crag-y-Nos Castle, the Craig-y-Nos Country Park is a haven of tranquillity for local wildlife and offers a spectacular day out for visitors. Its 40acres are criss-crossed by a network of easy to follow footpaths, which will take you past many wonderful sights, sounds and smells. Most of the paths are surfaced and, as such, make the park largely accessible to people of all abilities. If you want to avoid the paths that are slightly soft underfoot there is an information board at the beginning of all of the main paths and maps are available for you to take along with you on your journey. 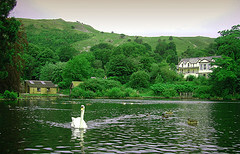 The park contains a diverse combination of tall woodland areas, meadows, rushing rivers and lakes. 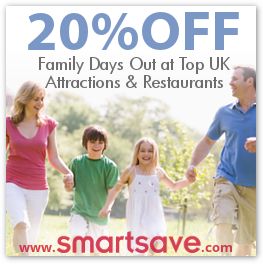 It is ideal for a family day out and to get close to the flora and fauna of the locality. Kids will love it here, especially if you bring along a picnic. Why not settle after your walk and dine in a lake-side setting? If you feel like having a casual stroll and stopping every now and again to take in the peaceful surroundings there are benches dotted throughout the park. And if you’re staying in the area, the Craig-y-Nos Castle is also worth spending the day exploring. So whether you are on a family excursion, planning a day out with friends or simply want to relax by yourself, the Country Park caters for all and will not disappoint your expectations. Opening Times: All year round, dawn to dusk.